Playwright Daniel Pinkerton was moved by Pillsbury House Theatre's new show "The Children," which was inspired by the Greek tragedy "Medea." In the classic tale, Medea kills her children to punish their father. "The Children" asks: What if someone attempted to save the children? Told with both actors and puppets, the tale journeys from ancient Greece to modern day America, and Pinkerton says there are lots of laughs amid the heavy subject matter. On stage through Oct. 16. 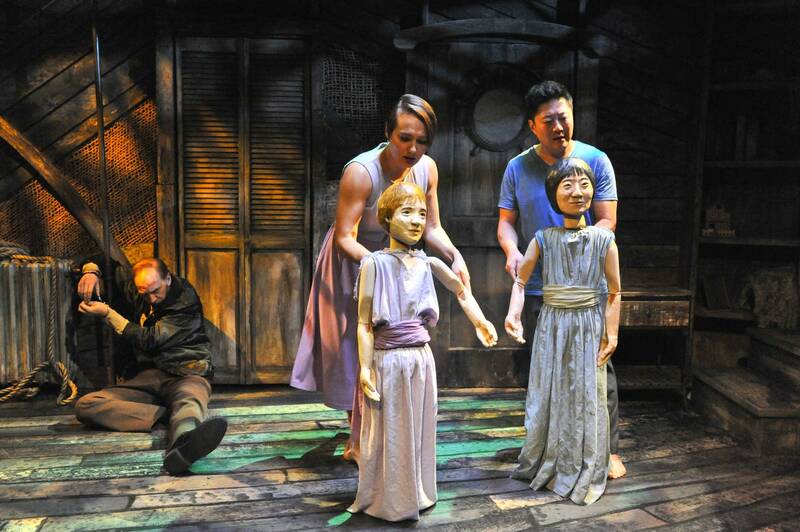 Radio DJ Kathy Mouacheupao recommends seeing Katie Ka Vang's one-woman show "Final Round." Vang was diagnosed with stage 4 cancer in 2012. She battled like a rock star, only to have it come back — twice. "Final Round" is set in a boxing ring, and is about all the kicks and punches Vang has taken over the years, while still managing to lead a full life. Performances run Oct. 13-23 at Dreamland Arts in St. Paul. Duluth Playhouse Education Director Kate Horvath is excited to take her students to see the Shakespeare First Folio on display at the Tweed Museum of Art. Printed in 1623, the First Folio is the first published collection of Shakespeare's plays. Horvath says it's a piece of living history that she hopes will inspire many conversations with her students. The First Folio is on display at the Tweed Museum through Oct. 26.